Home New York Personal Injury Law Firm Slip and Fall Attorney How Much is My Slip and Fall Case Worth? New York has strict laws governing premises liability actions. These laws protect people who are injured because of dangerous conditions on another person’s property – be it an apartment building, a restaurant, a shopping mall or other locale. If you slip and fall because of foreseeable hazards while legally on someone else’s premises, you may be wondering how much your injury claim is worth. Falling on hard surfaces, or down a flight of stairs can result in a wide range of serious injuries, from broken ankles and torn ligaments to traumatic brain injury. An experienced NYC personal injury lawyer can usually provide a ball-park estimate on the value of your case, based on the type of injuries suffered, medical bills and financial losses sustained. The New York law firm of Friedman, Levy, Goldfarb & Green works tirelessly to fight for full economic and non-economic damages owed to our clients. It’s important to note that there is no concrete formula for calculating an exact dollar amount in premises liability lawsuits. Each slip and fall case is unique and it’s up to your legal team to accurately assess the value on the total sum of your past, present and future losses. Generally speaking “hard injuries,” such as broken bones, herniated discs, spinal cord injury and other trauma that is easy to prove through diagnostic tests generally merit more compensation than soft tissue injuries like sprained muscles or tendons. 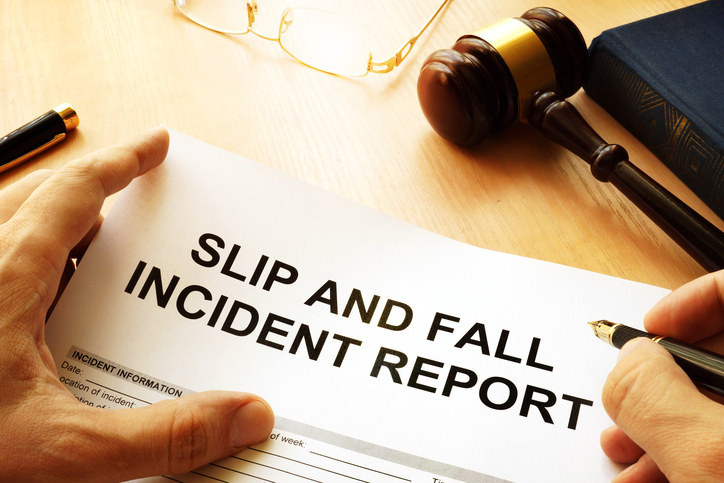 The following are common factors that impact the value of a slip and fall claim. The total sum of your medical bills, including urgent care, surgeries, treatments, X-rays, diagnostic testing, doctor’s visits, mobility aides, prescription medications and rehabilitation lay the foundation for your injury damages. Plaintiffs can even demand reimbursement for the transportation costs to and from medical appointments for the duration of their recovery. It’s critical to keep good records of health care appointments and save receipts for out of pocket expenses paid. If your slip and fall injuries prevented you from working or earning wages, you are eligible to recover the income you have lost during this time period. It doesn’t matter if you are a salaried employee, work for tips or are self-employed, a qualified attorney can ensure you properly document your loss of income. If you are unable to resume work for an extended time due to your injuries, the property owner may also be asked to pay out a lump sum for reduced earning capacity, or foot the bill for vocational training in another field of work. Getting seriously hurt can have major ramifications on the quality of your life, causing not only physical pain but emotional anguish and suffering. While it can be difficult to place a dollar figure on anxiety, depression, or other psychological impacts of a slip and fall accident, New York State recognizes the importance of compensating victims for these less tangible impacts. A slip and fall claim for damages should also include expenses that were incurred as a direct result of the accident. For example, you may need to hire a part-time nanny or housekeeper to help out and do chores that you are physically unable to perform because of your injuries. Make sure to save receipts and verification of all incidental expenses related to your accident. Your injury case will be worth a lot more if you sustained severe injuries that take years to heal or resulted in permanent disability. How much will a slip and fall lawyer cost? No matter how valid your claim and incontestable the liability, insurance companies are prepared to mount an aggressive defense. For this very reason, it’s imperative to choose your legal representation carefully. Your NYC slip and fall lawyer should have ample experience handling premises liability claims in New York City, and the resources to gather solid evidence, retain expert witnesses, and develop the shrewdest strategies for maximizing your recovery. 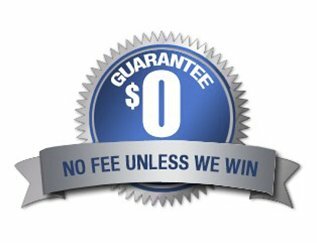 Look for a law firm that pays upfront costs. Attorneys who operate on a contingency basis take a small percentage of any settlement or judgement achieved. Call Friedman, Levy, Goldfarb & Green for a free consultation about your slip and fall injury. Speak to a personal injury lawyer who has the experience and skills to fight for your rights.